Let's say no to aspartame! Should you drink diet sodas to lose weight? Okay, so you want to stay thin and diet sodas contain sugar alternatives which help your quell your craving. If you’ve concluded that aspartame is not for you then you maybe torn between diet drinks and your aversion. But did you know there are studies stating that diet sodas may make you hungrier? In 2008, Purdue University found that artificial can make you hungry. What they did was they fed a few rats yogurt sweetened with saccharin and other rats yogurt sweetened with sugar. The rats that consumed the yogurt sweetened with saccharin ended up consuming more calories. A study just presented at the American Stroke Assn.’s International Stroke Conference reported a link between the amount of diet soda someone drinks and the risk of having a stroke or heart attack. We all like sugar. And none of us wants to lose weight. So how do we combine our desire to consume sugar and at the same time not gain weight? Well, luckily, experts have found alternatives. One such alternative (besides apartame) is Sucralose (Splenda). Sucralose is good for those who want to lose weight, diabetics and people on low carbohydrates diets. But experts find Splenda is also closely related to sugar and pesticides, and closely retains the properties of both, which makes it dangerous. A safer alternative, however, comes in the form of Stevia. This is a herb found in Northern parts of South America, a shrub of the aster family. It is reportedly a natural or safe alternative to sugar. But it does not have FDA approval as yet. However, it is allowed to be sold as a dietary supplement and can be used as a sweetner. Many food chains sell Stevia. Experts say there are several benefits of this drug, such as lowered blood pressure, no rise in blood sugar, improved digestion, and increased gum health, because it kills the bacteria that cause tooth decay. It’s been used in South America for centuries and several developed nations in Europe and Japan for the past forty years. However, it’s not won approval in the US yet because there are a few studies suggesting its harmful effects. Now that we have looked at some of the contentious research, the blog will now look into the alleged side effects. As I stated in my introduction, this blog seeks to raise awareness so that individuals can make up their own minds. Following from this, I believe that the readers should be aware of the gravity of the harm they may suffer if they are convinced of the aforementioned research which shows that aspartame may be harmful. When all the research on aspartame, including evaluations in both the premarketing and postmarketing periods, is examined as a whole, it is clear that aspartame is safe, and there are no unresolved questions regarding its safety under conditions of intended use. However, as Mercola and Italian research shows, this is far from certain. Perhaps the the most daunting consequence is cancer which is apparently what the Italian scientists found. However, as stated this has not be confirmed by the regulatory bodies in UK, EU and the US. Now that we have covered the basics and we know what is in aspartame, we can talk about the research. It should be noted that the alleged effects will be handled in a separate post. The artificial sweetener aspartame has been involved in several controversies following its approval by the Food and Drug Administration in 1974. Critics felt that the FDA approved aspartame in a rather haste way, due to industry pressure. Since then there have been numerous studies and research, both pro-aspartame and against aspartame. An FDA task force was asked to assess the validity of Searle’s research. In 1978 concluded that although there were some issues with the research, Searle’s conclusions were valid. The usage of aspartame was finally approved in 1981 and it began to be used in Diet Coke in 1981. The matter would thus seem to be closed. However, many have disputed the FDA’s swift approval. Indeed, ABC’s 60 minutes programme concluded that “aspartame’s approval was one of the most contested in FDA history.” Indeed, at the time, the concers were referred by a Senator to a body to discuss the effects of aspartame. However, the Government Accountability Office concluded that most scientists agreed that aspartame was not harmful. This was not the end of the matter by any stretch as we will see in part 2 of the controversies in the research which will deal with the controversies and new research since 1990. The issue arose again after a report was released by Dr. Morando Soffritti from the Institute of Oncological Studies- Ramazzini , in Italy in 2006, 2009 and 2011. After a 6 year study involving 1,900 labs and $1million, he concluded that there was a a link to the cancer. Dr Soffritti works with hundreds of doctors around the world yet his findings have not been endorsed by the World Health Organisation nor the FDA. However, following his studies, Roger Williams MP asked for a ban of aspartame in Britain. Dr. Soffritti conducted that even three cans of Diet Coke on children can be dangerous. 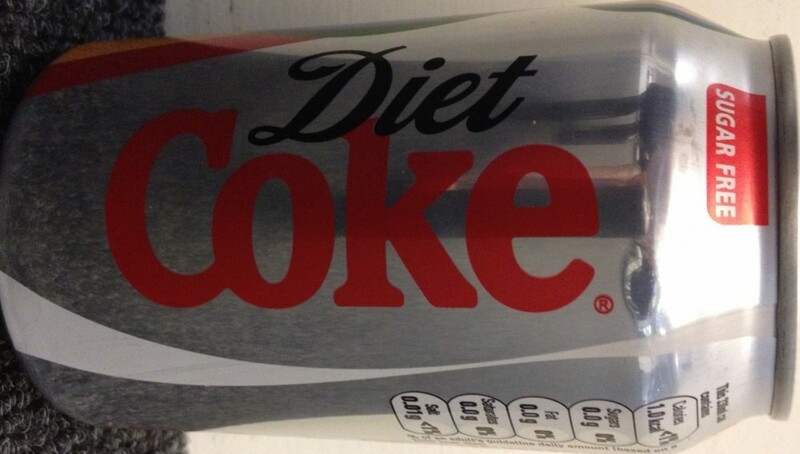 This study is leading the EFSA to re-examine the dangers of aspartame in the month of September. Therefore, new rules on aspartame intake could come up soon. That said, there is a contentious dispute about the Italian doctor’s findings. Firstly, the labs did not follow internationally recognised Good Laboratory Practice (GLP) procedures. Indeed, the institution has been cricised by British, American and European Union agencies. However, Soffritti’s work remains persuasive because the results have been repeated (admittedly by the Doctor himself). However, there is also recent support when one looks to the substance of aspartame. As was explained in an earlier blog post, aspartame is made up of aspartic acid. According to research carried out by Dr. Russell L. Blaylock, a professor of neurosurgery at the Medical University of Mississippi, excessive aspartic acid can cause chronic neurological disorders. The same results can be found when looking to the other elements of aspartame. Phenynanaline, as explained, is a natural amino acid. However, research reveals that aspartame can lead to excessive amounts of phenynanaline which result in many different disorders. Indeed, it is clear that those who have an excess of phenynanaline in their body suffer from depression and other disorders. Finally, it is not disputed by anyone that ethanol is detrimental to one’s health. Following from the introductory post, this post will seek to inform you of the basis of aspartame before moving onto the controversies. Firstly, aspartame is usually added to several products because it is an artificial sweetener. Incidentally, the substance was discovered by accident in 1965 when scientists were working on an anti-ulcer drug. Aspartame was approved by the American authorities (The Food and Drug Administration) for both dry products and caronated drinks by the mid 1980s. The reason for the large gap between its discovery and approval by the FDA is because it was put on hold in the 1970s because researchers believed it had adverse side effects. Nonetheless, the FDA passed it after 1980s. What then is exactly Aspartame? 40% of the substance is made from aspartic acid. Unlike many other acids (such as amino acids), aspartic acids are not necessary for a balanced diet and well regulated healthy body. Indeed, as will be shown in the next post, aspartic acid is arguably one of the elements that makes aspartame dangerous. Another 50% is made up of phenylalanine (which is yet another acid). While this is an essential amino acid and is found in our body, aspartame constitutes a foreign import of phenylalanine. The last 10% of aspartame is made up of methanol (in other words, alcohol or wood poison). Some of the products which contain aspartame have already been mentioned. However, to recap, they range from fizzy drinks to yoghurts. They are present in chewing gums that almost everyone purchases. They loom in the corners of crisps. Obviously, aspartame is used in granulated sugars. These are products that an average Westerner consumes everyday. As Europeans and Americans, citizens generally expect that the products they consume have the necessary health and medical checks. Indeed, we rely on the FDA (in the United States) and EU agencies to ensure that corporations do not adversely affect the way we live our lives. Yoghurt, Diet Coke, fruit juices and sugar-free gums may make a large part of your daily food consumption. It should follow, then, that we should feel safe in eating these hard-to-avoid products. But did you know these products could cause headaches, brain tumours, alzheimer’s, epilepsy, fatigue and birth defects, among other diseases? This is because all these food items contain aspartame, an artificial non-saccharide sweetner used as a sugar substitute in several foods and beverages. It is known by other names (which make the product seem completely innocent!) such as NutraSweet, Equal, Spoonful, and Equal-Measure. This blog makes no pretense about the position advocated: there is evidence to suggest that aspartame contributes to bad health. However, this position will be shown through an objective account of the available evidence. More than anything, this blog will merely inform the reader of the established facts so that they can make their own minds as to taking the risk. I set up this blog to help inform others like me. I hope my campaign regarding aspartame will be successful after you read this. It is here to spread awareness about what aspartame is, which products use it, the content of the substance and the controversies and issues that surround it. This does not mean that the blog will be technical, in fact my aim is to make scientific data accessible because the message must be spread. The reason why the issue is so important is because popular brands such as Diet Coke contain aspartame. As a Diet Coke and artificial sweetner addict, I was shocked, as I never knew what all aspartame could do to a person and their well-being. Please follow me in my journey as I explore the dangers of aspartame.